Apple Music features Connect, which is a way for artists to upload music, videos, and photos directly to their fans. This is supposed to make Apple Music stand out from its competitors by creating a more direct connection between artists and listeners, just like the name “Connect” implies. And through Connect, you can ‘follow’ artists a la Twitter, to be notified when they post new things. As you may have expected, Apple Music works through a dedicated iOS app. 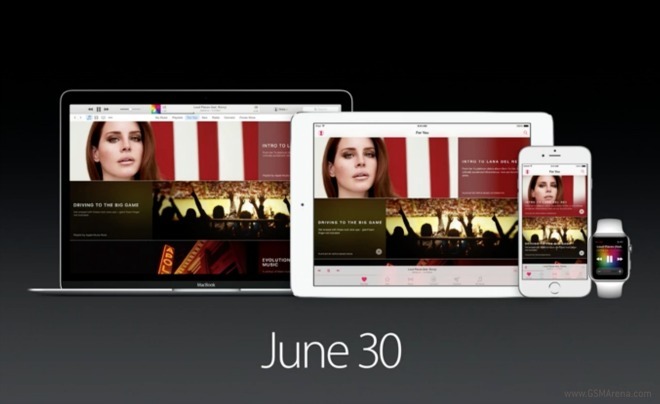 It will also arrive inside iTunes through that app’s next update. The “For You” section has recommendations of playlists and albums to listen to, which are tailored to you. Unlike some of its competitors’ offerings, though, Apple Music uses algorithms as well as a ‘human touch’ for curation, which means you should expect those recommendations to be hand picked by “leading music experts”. The Up Next queue from iTunes has made its way to Apple Music. Siri can be told to play stuff from Apple Music, even with vague queries such as asking for the song from a specific movie. 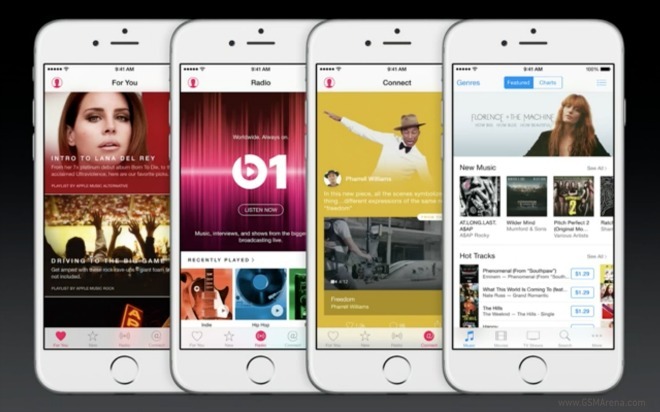 The Apple Music app has access to both your local music, as well as Apple’s vast music library. The service will launch on June 30 in more than 100 countries across the globe. It will cost $9.99 per month for one user, or $14.99 per month for families up to 6 persons. The first three months will be free. The Apple Music app will be part of iOS 8.4, which will be released at the end of the month for iPhones, iPads, and the iPod touch. In an interesting twist, Apple is working on an Android app for its music streaming service, and this should become available in the fall.